I’m a producer, songwriter and multi-instrumentalist based in south west London. I’ve been writing, recording and performing music for over 20 years. I have an MA with Distinction in Music Production and I’ve taught private music production lessons to students of all ages and backgrounds since 2010. 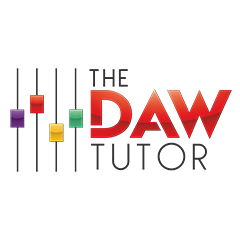 I founded The DAW Tutor in early 2017 to help make the recording process more accessible for beginners and intermediates alike. More often than not, I find that new students have all the tools they need at their disposal, but have reached a hurdle and need the knowledge and encouragement that a skilled professional such as myself can provide. My goal is to cut through the jargon and help recording enthusiasts and music students get hands on with the powerful DAW tools that they already possess in their computer. Whether you’re aiming to become the next multi-platinum producer or you simply want to learn how to make your band’s demo sound professional, I can help you achieve your goals. Get in touch today and let me know what you would like to learn.